Like large rivers or sheets of ice, glaciers move slowly down mountains and hills, carving out the land. Glaciers occur when snow falls faster than it can melt and becomes ice. Over millions of years, this ice becomes dense and compacted. 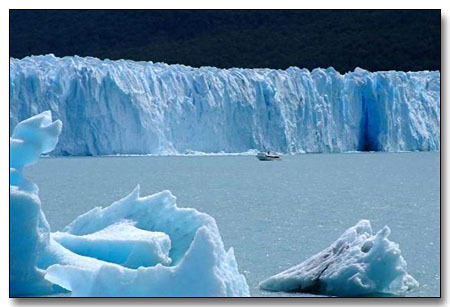 Glaciers are found in cold parts of the world like Alaska, Greenland and the Antarctic. Some people think the ice in a glacier is millions of years old, but this isn’t true. Some lakes have been around for thousands of years, but the water in them isn’t the same water that was there long ago. The water evaporates and rain brings new water. Glaciers are the same way. The ice slowly melts over time and then new ice forms. All About Glaciers: They currently cover 10 percent of the Earth’s surface. Glaciers currently cover 10 percent of the Earth’s surface. During the last Ice Age, glaciers covered 32 percent of the Earth. Glaciers store 75 percent of the world’s freshwater. This is water that can be used for drinking. If all the glaciers melted, the Earth’s oceans would rise 230 feet. Glaciers cover over 5.8 million square miles of the planet’s surface. Glacier ice sometimes looks blue. This happens because the dense ice absorbs other colors in the color spectrum but reflects blue back. Sometimes glaciers will break off and slide into the water. This is called a shelf. Most glaciers move very slowly. Sometimes glaciers speed up briefly, which is called a glacial surge. A video animation explaining about glaciers. Question: How fast do glaciers move? Answer: Most glaciers move very slowly. Sometimes glaciers speed up briefly, which is called a glacial surge. The Kutiah Glacier in Pakistan moved more than 7.5 miles in three months, or about 367 feet per day. 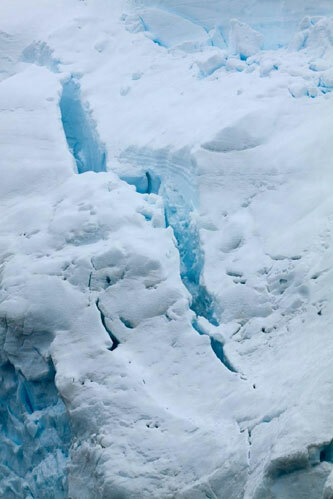 This is the record for glacial surges. Question: Do glaciers move into the water? Answer: Sometimes glaciers will break off and slide into the water. This is called a shelf. Once in the water, chunks of ice can break off, forming icebergs. 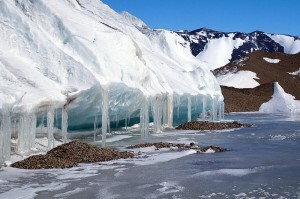 Enjoyed the Easy Science for Kids Website all about Glaciers info? Take the FREE & fun all about Glaciers quiz and download FREE Glaciers worksheet for kids. For lengthy info click here. Declan, Tobin. " Fun Glacier Facts for Kids ." Easy Science for Kids, Apr 2019. Web. 18 Apr 2019. < https://easyscienceforkids.com/all-about-glaciers/ >.